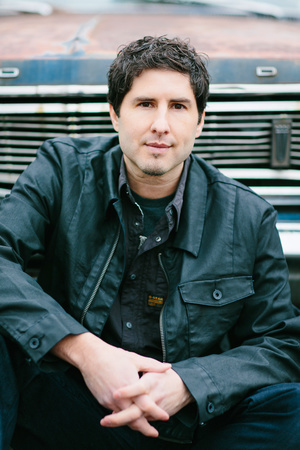 Matt de la Peña is the New York Times bestselling author of six young adult novels including "Mexican WhiteBoy," "We Were Here," and "The Living" and four picture books including "Love" and the Newbery Award winning "Last Stop on Market Street." His debut novel, "Ball Don’t Lie," was made into a major motion picture starring Ludacris, Nick Cannon, Emelie de Ravin, Grayson Boucher, and Rosanna Arquette. "Last fall I had the great pleasure of hearing Matt de la Peña speak to both middle and high school learners about the journey that has influenced his writing," said AASL President Kathryn Roots Lewis. "As I watched these respective groups of learners, every child was listening intently. The phrase, 'you could have heard a pin drop' was certainly apropos! As learners asked thoughtful, deep questions, Matt shared passionately from his rich life experience. His powerful message of inclusiveness and equity is a must for all learners - children and adults – as Matt's works inspire readers of all ages everywhere. Please join me to hear the amazing Matt de la Peña!" In 2016, de la Peña was awarded the NCTE Intellectual Freedom Award. In 2012, his novel "Mexican WhiteBoy" was banned from the curriculum of Tucson, Arizona, schools. Scheduled to speak in a Tucson high school shortly after the banning, de la Peña donated his speaking fee in order to purchase copies of "Mexican WhiteBoy" for students. “I want to give back what was taken away,” he said. de la Peña received his MFA in creative writing from San Diego State University and his BA from the University of the Pacific where he attended school on a full basketball scholarship. He currently lives in Brooklyn, New York. He teaches creative writing and visits high schools and colleges throughout the country. The AASL President's Program is an annual event open to all registered conference attendees. For more information about this and other AASL programs at the 2019 ALA Annual Conference, visit www.ala.org/aasl/annual.